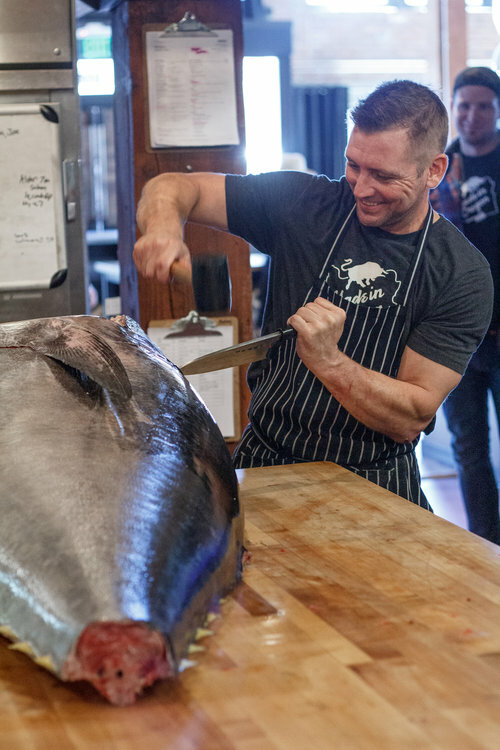 La Ruta Pdx is bringing chef/owner Cody Auger of acclaimed Portland sushi restaurant Nimblefish and omakase pop-op Fukami to PLAZA DEL TORO on February 22nd to present an omakase-style menu designed around an entire Mediterranean bluefin tuna imported from Spanish tuna producer Balfegó. 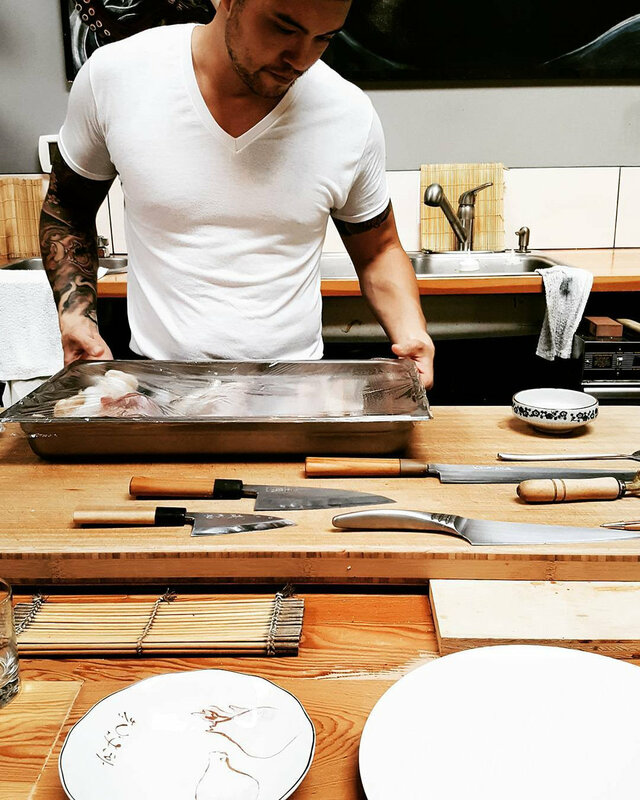 Cody will work alongside PLAZA DEL TORO chef and sushi veteran Michael Kessler (3 Michelin-starred Masa NYC, Iron Chef Masaharu Morimoto) to present a consummate bluefin tuna menu while guests enjoy paired sake from SakéOne. Full bar and wine list available for purchase. Gratuity not included on additional beverages. 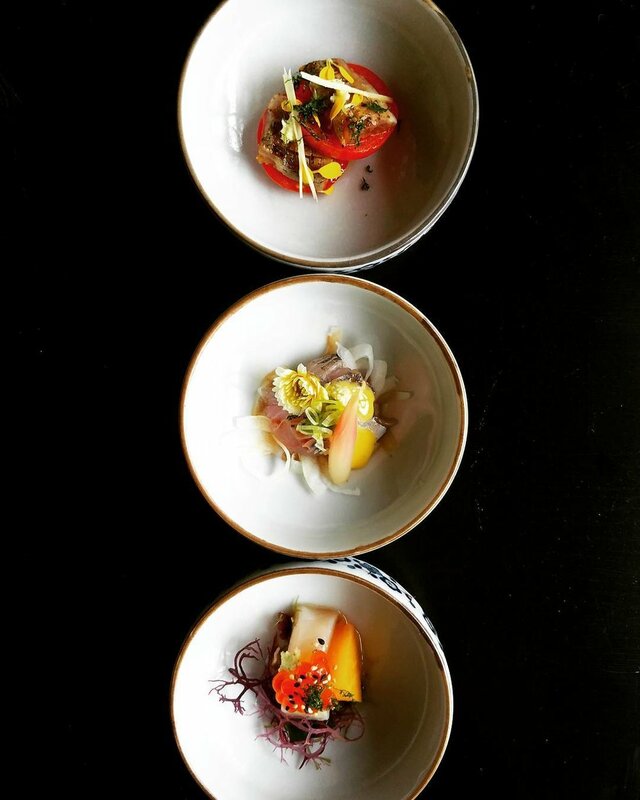 Balfegó tuna are a sustainably farmed product that are heavily monitored and regulated. They are one of the few fish farms where the fish continue to breed in captivity. The capture method doesn’t pick up by catch and Balfegó donates a portion of their profits to fund sustainability research. Read more about Balfegó’s practices in Forbes and on their website. A portion of proceeds will benefit p:ear, a nonprofit mentoring Portland’s homeless youth to affirm personal worth and create healthier lives and communities.